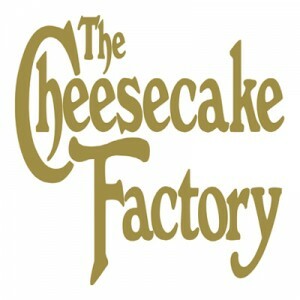 The Cheesecake Factory is a well-known restaurant selling sandwiches, pizza, pasta, burgers, steaks, and their signature cheesecakes. The company headquarters is located in Calabasas Hills, CA. It started when Evelyn Overton found a cheesecake recipe in the local newspaper. Everyone loved it so she opened a small shop. However, she eventually had to give it up to care for her two children. The cheesecakes were made in her home instead – but this would grow into the company we know of tody. The company has received awards such as “Overall Winner for Casual Dining Restaurants” and “Consumer Choice Award Winner”. Fortune also made them one of “100 Best Companies to Work For” for three years. Perks of working for the company include competitive wages, and benefits such as AD&D, medical, dental and life insurance. The company also gives flexible spending accounts, paid vacation days as well as 401(k) plans. Employees love working for the company not only because of the benefits, but also because of the opportunity to move up the ranks. Bosses are approachable, and the environment is fun and cooperative. How old do you have to be to work at The Cheesecake Factory? Numerous job postings are available for the company, but team would only hire those applicants who are at least 18 years of age. Various opportunities await aspiring The Cheesecake Factory employees, whether you’re suited in the customer service department, kitchen, or prefer to work behind the scenes. Certain positions such as line cook, steward or server require prior experience for better chances of being hired. Bartender: The bartender’s task is more than just mixing drinks and serving them to guests. S/he also takes care of creating specialty drinks and prepping the bar, as well as giving recommendations to customers who seem confused regarding their choice of food and/or beverage. Hence, bartenders play a significant role in the guests’ experience inside the restaurant. Dishwasher: Dishwashers are vital to the store operations, handling plates and utensils that the store uses. Dishwashers stand for long periods and lift heavy items — those who persevere can be Line or Prep cooks as early as their first year. Cashier: Cashiers take orders over the phone, assist confused guests in giving their orders, and process payments. They also deal with both to-go and delivery guests. Cashiers should have good communication skills and must know how to interact with different kinds of people. Prep Cook: Prep cooks are in charge of handling factors that involve ingredients and recipe preparations. They work with a talented culinary team and play a major part in the guests’ food experience. Doing well will give prep cooks the opportunity to move up to other line stations. Line Cook: Line cooks are in charge of creating more than 200 dishes from scratch every single day. They work in a kitchen with fellow professionals and learn other useful cooking methods. The hiring team prefers applicants with previous experience as a line cook. Server: Duties of servers include taking orders, assisting guests with decisions, delivering guests’ food and beverages, and taking and processing payments. Those hoping to be servers must have prior experience in a full-service restaurant to have better chances of being hired. Busser: Bussers’ tasks include setting tables and cleaning dining room areas in a timely fashion, as well as guiding guests to tables, sweeping floors, refilling bread baskets, and stock glassware and ice. Bussers should be used to fast-paced environments, and in being a part of a team. Dessert Finisher/Espresso Maker: The dessert finisher/espresso maker plates the store’s famous cheesecakes and concoct espresso drinks for guests. Tasks may also include housekeeping tasks e.g. cleaning and maintaining equipment, and making sure guests are greeted warmly upon their entry to the store. Steward: The steward makes sure the store only has the freshest products and finest ingredients on hand. S/he also works with suppliers in placing orders, and also helps maintain the store’s storage orders. Stewards have a good grasp of measurements, weights, and volume. Host: The host is responsible for informing guests of their approximate wait time, as well as showing them to their tables. A host is a significant figure for the company; s/he interacts with the guests and is in charge of creates their first and last impressions of the store. To apply for The Cheesecake Factory, applicants first have to visit the site and click on the Careers tab. A profile should be created, which then leads to an application form that needs to be filled out. Most applications are done online through the company website, but there still are applicants who choose to personally hand in their applications to the store nearest to them. The system scans every applicant’s file and picks those who are most qualified, so it’ll work in the applicant’s advantage to include skills related to the job they’re applying for. The resume should include significant details such as education, prior work experiences and references to better build up the applicant’s profile. Interview questions mostly revolve around the applicant; aside from asking the basic questions (previous work experience, availability etc. ), the interviewer just wants to determine the applicant’s personality and see how the person will fit within the company. The company makes sure to communicate and engage with its employees, as its goal is to promote a workplace with people who are supported for what they do, respected for who they are, and proud of where they work. The company gathers surplus food — food that no longer meets the restaurant’s standard yet still wholesome and totally consumable — and gives them to feeding agencies supporting local shelters, soup kitchens, after-school programs and traditional housing. It’s also known for supporting schools and charitable organizations in the communities they serve. General Managers each have a gift-giving budget, and donations are sent out through $25 gift cards. The company has also established a foundation with a signature program called “Give Back”, wherein staff members give their time to raise funds for their chosen charities. The more members involved, the bigger funds they can donate. 1 How old do you have to be to work at The Cheesecake Factory?